a few years ago on new years eve, after writing down some daily to-dos in a notebook (that i made out of a cereal box!) i had the thought that this notebook would work great as a planner for me all through the year! so i got to work and made some cute monthly calendars that i could print out, cut in half, punch a few holes in, and use in this notebook. i was pretty proud of myself for being able to create something all on my own and decided to post it on this little blog of mine, thinking that maybe, just maybe, someone out there would like it too and it would benefit them as much as it was going to benefit me to have somewhere to organize my day-to-day life. fast forward a few years and here i am creating these planner pages yet again! i’ve since created another set that i use now with a whole bunch of other add-ins, but i still make this freebie one and am posting it here on my blog because so many people have asked me for it and i didn’t want to disappoint! i love the digital washi tape, and i love finding quotes to be able to add to each month – each one motivates me, makes me think, or just brings a smile to my face. i hope you love using these planner pages as much as everyone else has, myself included! 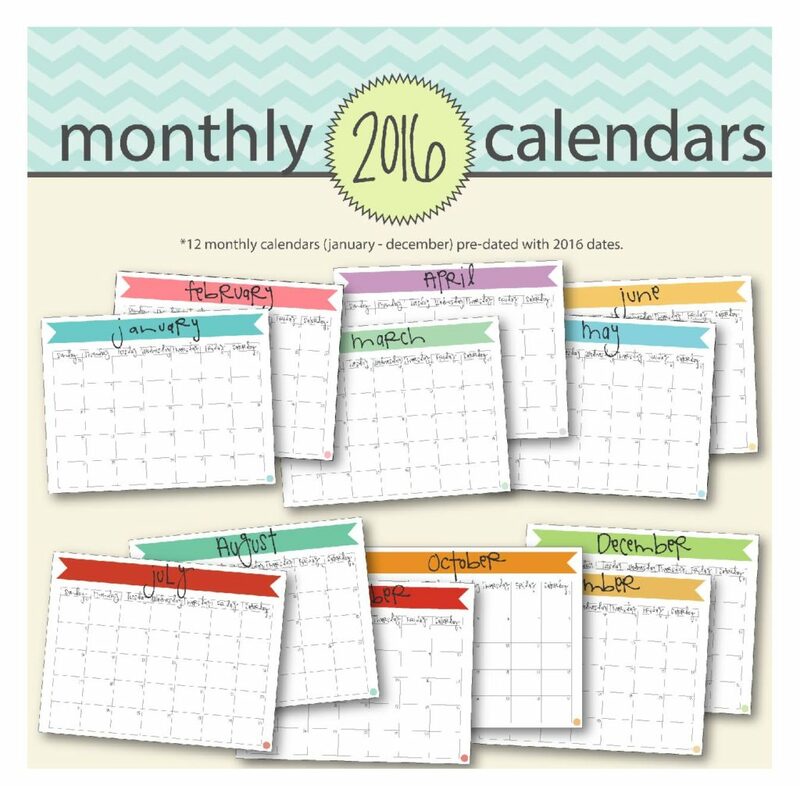 click to download your free 2016 printable monthly planner pages in pdf format. 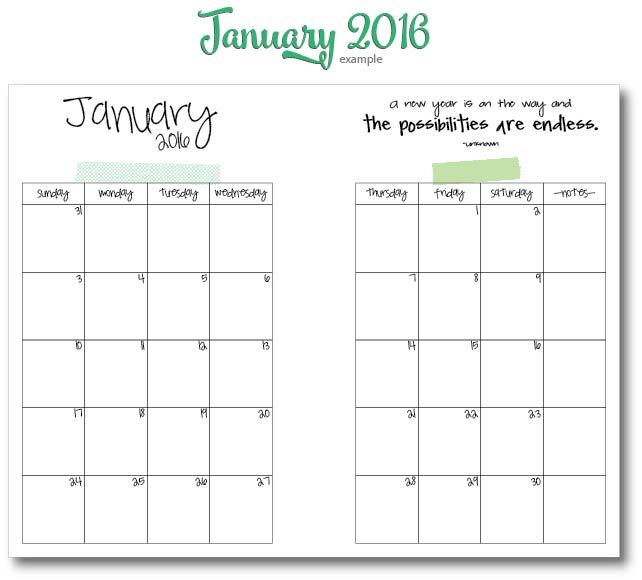 click here to see my original post, when i first created these freebie calendars. click here to get the tutorial on how to make your own notebook using only a cereal box and some scrapbook paper. 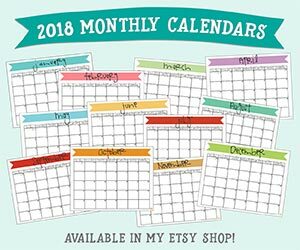 if you like these calendars, i have a few other printable items in my etsy shop you’re going to love! you’re sure to find at least one way to make this the year you get it all organized! I LOVE THESE. Thank you, this is my third year using your printable! Glad you like them Ranee!! Happy New Year! Thank you for these! I LOVE the printable! What size are these? I love them!!! Hi Amy! They are *approximately* A5 size, which is 1/2 of a normal letter-size paper. All you have to do is print it and cut the page in half right down the middle! They end up being 8.5″x5.5″. Hope that helps! 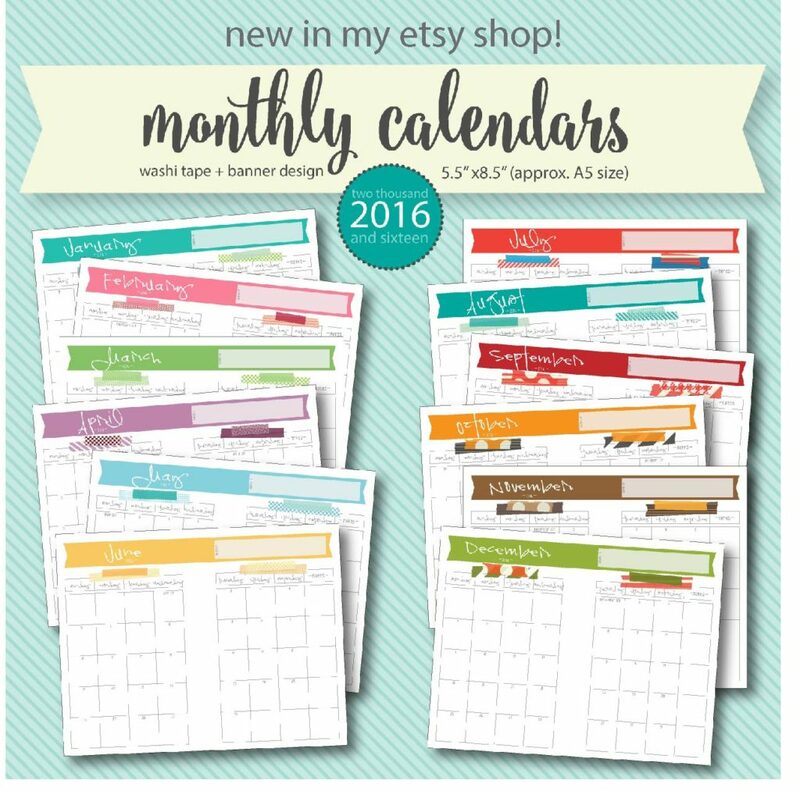 I love your calendar printables. This is the second year that I’m using them. I put them all into one of those ‘free’ notebooks that you get from random events, and it goes everywhere with me. I can totally customize it within the notebook. Thank you very much for doing this again this year! Hello, Katie! 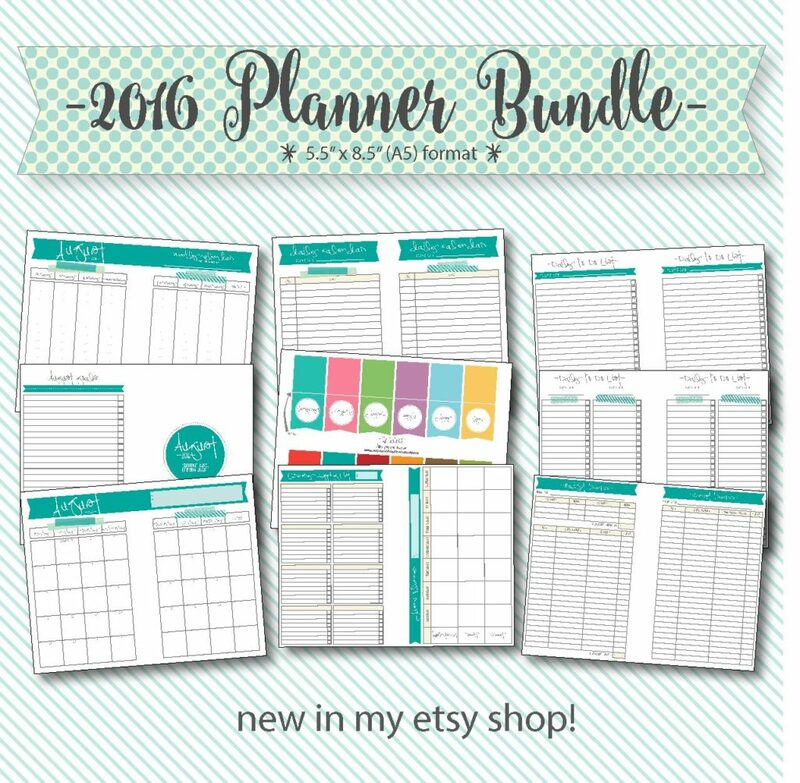 I’m new to this whole planner obsession, and I’m still searching and browsing for the right printables for me. So far I liked yours best. 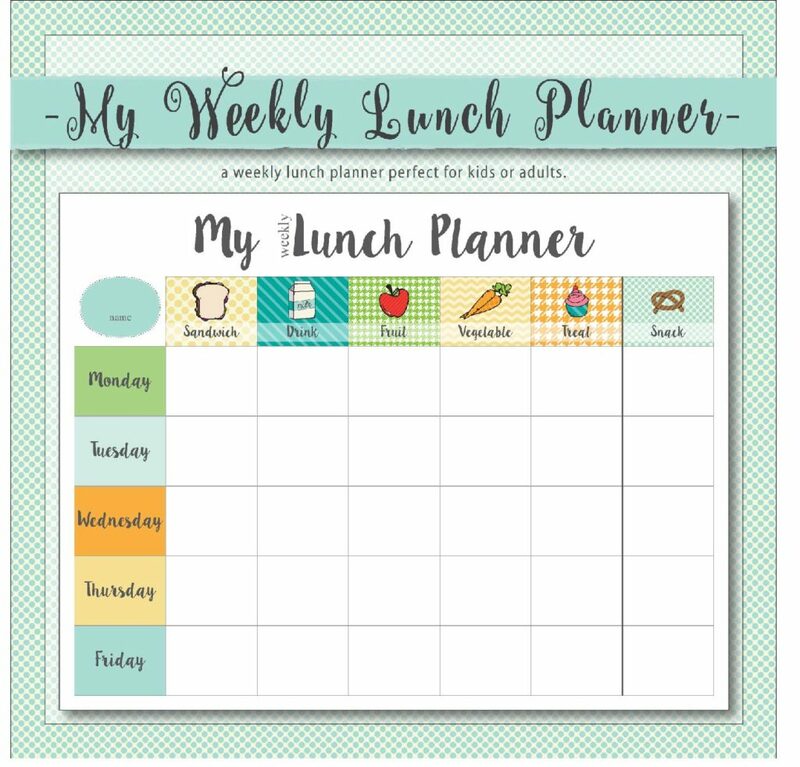 Would you consider making monthly planners with a week starting on Monday? Hi Ana! I’ll look into doing this for next year! I’m so glad you like them 🙂 Thanks for your input! I love these calendar printables. This will be the second year that I’m using them. Wondering if you are planning on having 2017 calendars available soon? Since my life is needing more organization over the years I have really enjoying your printables by far. Have even put together a few planners for some girlfriends of mine:) Keep up the good work and Thank you for doing this. Looking forward to newer printables. Yes, I will be. They should be ready by the end of December. Thanks!